--4.If you have any questions ,please contact us. LARGE CAPACITY. Koolkatkoo cat ashtrays can hold about 14 ounces. Suitable for outdoor or indoor. CERAMIC MATERIAL. This ash tray is made of high quality ceramic, easy to clean. Designed with two cigarette rests for smoking convenience. AVOIDS A PROBLEM. Collecting butts easily, you don't need to worry the ash be easy blew everywhere. this ashtray will make you a clean and comfortable environment. PERFECT GIFT FOR SMOKERS. 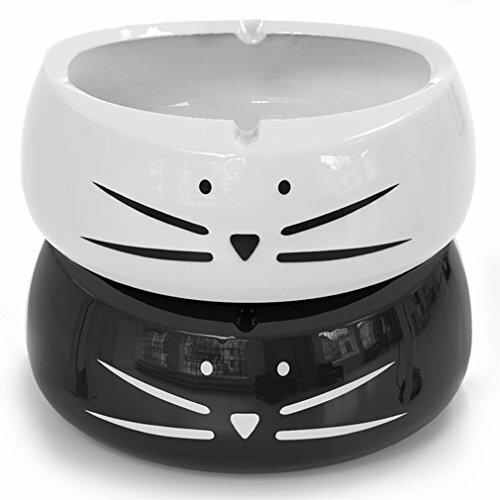 The cute cat ashtray will surprise your friends and family with a unique gift. They'll feel you try to find something special by heart. If you have any questions about this product by Koolkatkoo, contact us by completing and submitting the form below. If you are looking for a specif part number, please include it with your message.